Fusing style with substance, the Mercedes-Benz X-Class will appeal to buyers with an eye for utility and sophistication at the same time. At the launch of the long wheelbase Mercedes-Benz E-Class sedans, there was clear talk about the launch of an all-new line of Mercedes-Benz vehicles. Mercedes-Benz India's MD-CEO Roland Folger spoke about new line of vehicles being introduced in the global markets, the first of which is now upon us. 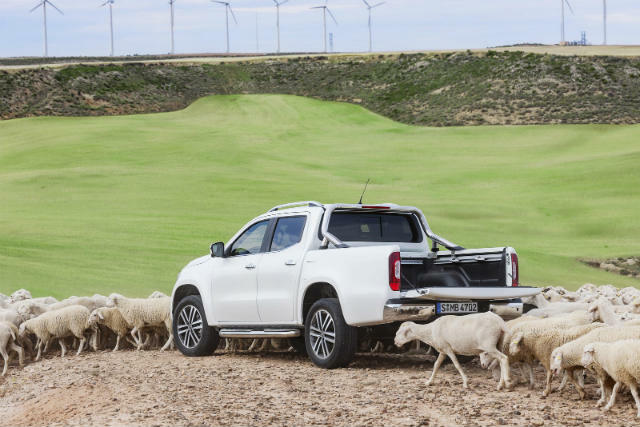 The X-Class is the first pick-up truck from Mercedes-Benz's stable, and incidentally, also happens to be the first pick-up truck made by a luxury brand. When the Isuzu D-Max V-Cross was launched, it was lauded for its lifestyle appeal. With a full bench at the rear to carry half your living room, the Isuzu D-Max V-Cross set precedent for pick-up trucks that work well as able, standalone cars too. It came with well-finished interiors, a host of features and entertainment options, and more importantly, comfort of riding along with powerful drivetrain. The new Mercedes-Benz X-Class carries all of these elements and takes it further ahead. The interiors get all-leather and all-fabric upholstery options, along with premium contrast stitching to give the cabin a luxurious appeal. As we have seen in most Mercedes-Benz cabins, the retro rotary air-conditioner vents are retained here as well, and you also get an automatic climate control module and a fully equipped steering wheel. The Mercedes-Benz X-Class pick-up utility vehicle is powered inside by the COMAND infotainment system that we've seen in new generation luxury sedans. It gets a 5.4-inch display with the COMAND controller mounted on the central column, and brings with itself the standard array of navigation, entertainment (music, FM/AM, multi-source inputs) and information (driving dynamics) to the fingertips of the driver. There are multiple input methods including USB, SD card, aux and Bluetooth, and the steering-mounted controls include function buttons for all the operations. The X-Class pick-up UVs also get a multifunction display mounted in the instrument cluster, that acts as a brief display of all the onboard features. 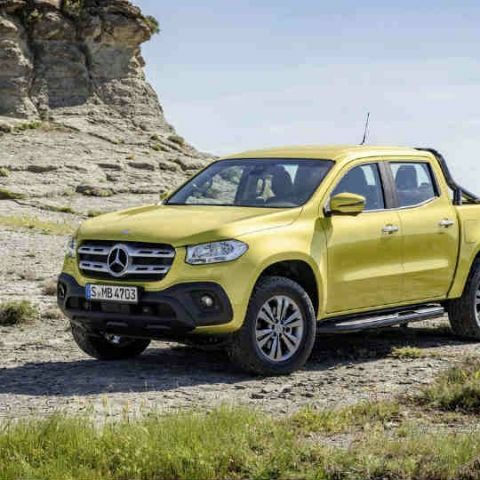 Keeping in line with the latest smarts, the X-Class brute also gets active brake assistance, lane keeping and traffic light assistance, along with the connected car interface linked directly to the COMAND firmware. The front seats are also power adjustable, and the cabin is spacious enough to sit four in plush comfort. At the heart of all this are four engine options - two diesel and two petrol. The diesel variants produce 161bhp and 187bhp respectively, while the lower-specced petrol engine produces 163bhp. The top-of-the-line X-Class pick-up UV will be powered by a V6 engine that produces 254bhp, combined with 4MATIC all-wheel-drive powertrain. 2018 variants of the X-Class will get permanent all-wheel drive as well, and off-roading equipment with Mercedes Benz ranges from styling bars to exterior cladding and cargo options. 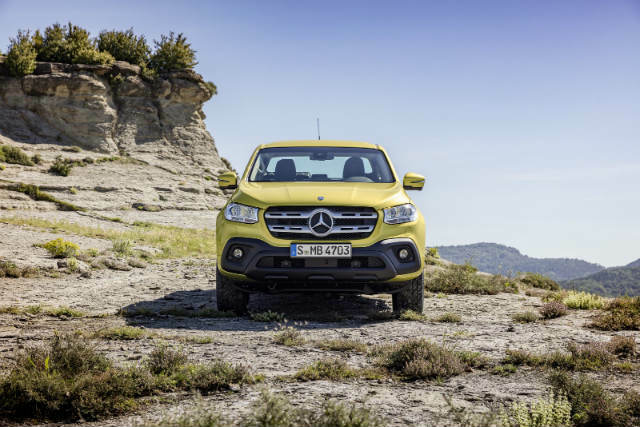 The Mercedes-Benz X-Class holds a one-of-a-kind appeal in the market right now, at prices in Europe begin at €37,294 (Rs. 27.66 lac approx.). However, the X-Class is nowhere in the company's India plans, as pick-up UVs with luxury lifestyle stance are not really attuned to Indian driving and traveling sensitivities, at least for now. Which is the best among the X series of Nokias? ?